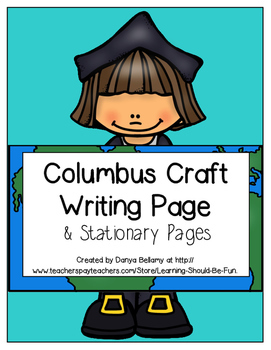 This is a craft of Columbus holding the page that your kiddos will write about Columbus on. 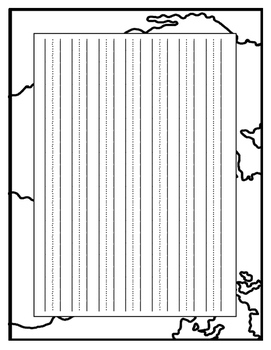 They can write facts they've learned about Columbus, they can write what they would do if they were an explorer like Columbus, or anything else you choose about Columbus. 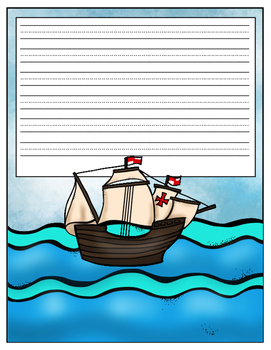 5 additional Columbus Stationary pages are included. 3 in color and 2 in black and white. 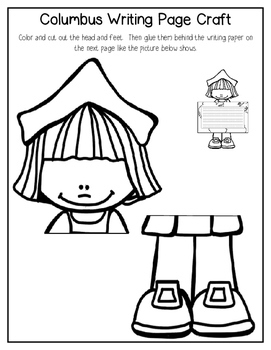 These are great to use around Columbus Day or with your Core Knowledge Columbus and the Pilgrims unit.